Kick off your visit on the 1st (Sat): head off the coast to Alcatraz Island, take in the waterfront at Fisherman's Wharf, then steep yourself in history at SS Jeremiah O'Brien, and finally take in the views from Golden Gate Bridge. 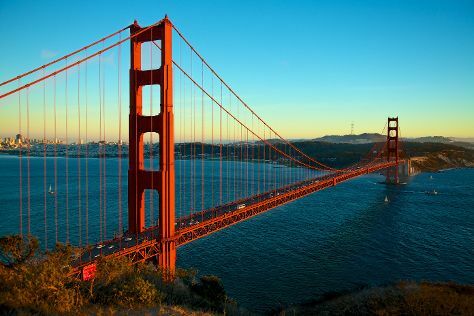 To see other places to visit, where to stay, ratings, and other tourist information, use the San Francisco trip planner . June in San Francisco sees daily highs of 71°F and lows of 55°F at night. Wrap up your sightseeing on the 1st (Sat) to allow time to travel back home.